Get ready to experience farm life from the comfort of your favorite chair. 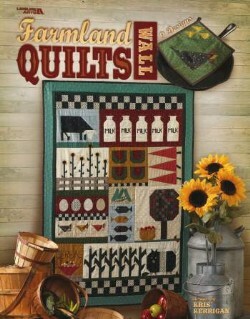 Kris Kerrigan's 9 pieced and appliquéd designs are fresh from the country, a delight to display, and will bring charm to any home. Photography of each finished quit included. 68-page soft-cover book.